What is a Social Misfit? At Engagement Labs we created the term Social Misfit to describe a brand that performs very well socially either online, or in real life (IRL) - but not both. Brands that are Social Misfits are not capturing their full potential and are missing out on big opportunities to drive marketing ROI. Is your brand a Social Misfit? 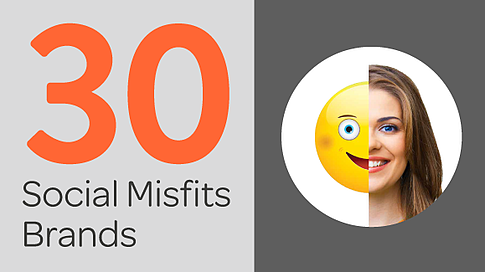 Is Your Brand a Social Misfit?